Samford University’s Journalism and Mass Communication Department (JMC) was named the number one journalism program in the state of Alabama for the third year in a row by College Factual. 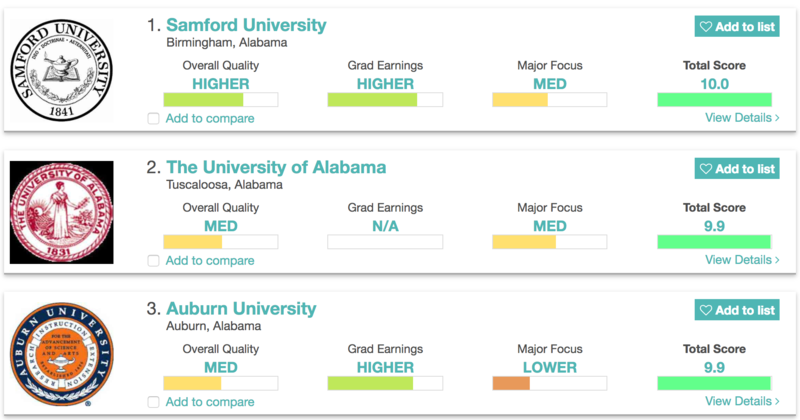 Overall, the Samford JMC department ranks 54th in the United States. JMC is one of the fastest growing majors at Samford, featuring four study concentration areas in print journalism, broadcast journalism, public relations and advertising. The department also houses two minors in film production and sports media.